Cabins USA offers the best of the best in Pigeon Forge cabin rentals. Whether you are looking for the perfect romantic getaway or the right spot for a fun-filled family vacation, we have it covered! Each of our luxury cabins provides an individual and unique experience. Ranging from 1 to 8 bedrooms, our cabins offer a variety of amenities from magnificent mountain views, private bedrooms, indoor Jacuzzi tubs, fireplaces, fully equipped kitchens, game rooms with pool tables, theater rooms, outdoor hot tubs, indoor swimming pools, and much more! Convenient to all the Pigeon Forge and Gatlinburg area attractions including Dollywood, Dolly’s Splash Country, Ripley’s Aquarium of the Smokies, Ober Gatlinburg, and the Great Smoky Mountains National Park. Outlet shopping and a multitude of fabulous restaurants also await you. Visit our website for quick availability and pricing information, as well as, photos and details of each of our premier accommodations. 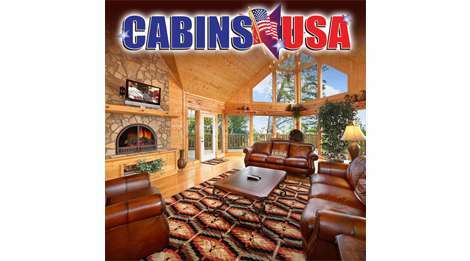 Choose Cabins USA for your vacation in the Smokies.